Every photo tells a story. These are short horror stories about me. 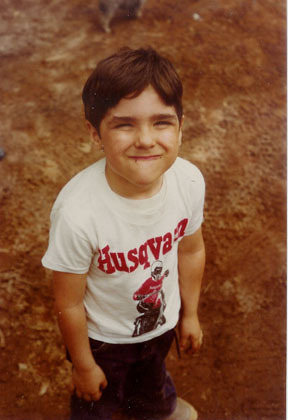 Mom knew I was a little devil. 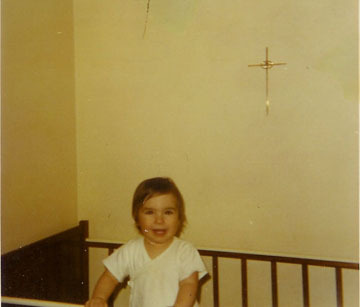 Check out the crucifix over my shoulder…. So clearly the youngest, hamming it up for the camera. Notice the chocolate at the corners of my mouth. And so the addiction starts. 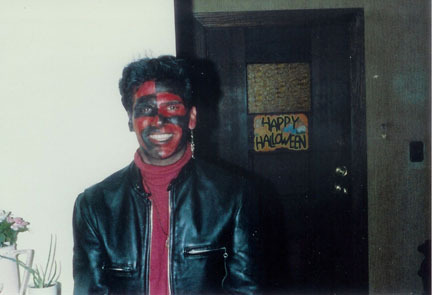 Always loved dressing up for Halloween. Eleven years-old and already I’m getting down on all fours and barking like a dog! This is the same year I got my puppy Floyd, who had a huge impact on my young life. I was extremely obese under this costume. I’d lose the weight a year later…which would help straighten out my limp wrists. I swear! With a rebel squeal. One Halloween later, and I’d gone on a crash diet and dropped 50 pounds. 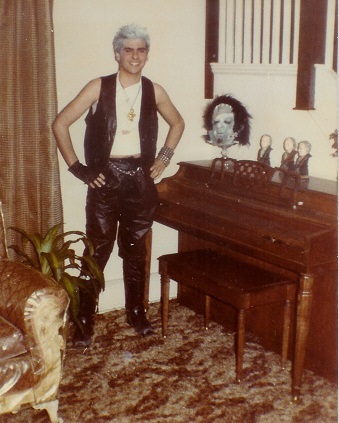 Costume looks pretty good, all borrowed from my two hard rockin’ older brothers, but the white hairspray is lame! 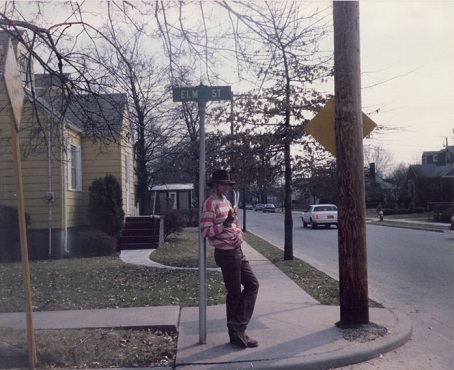 Yep, that’s me, on an actual Elm Street. Before those cheesy Freddy masks were all over the place, I went full out with makeup and an aluminum glove my brother had crafted. I was never happy with that sweater after driving my friends crazy hunting for an authentic red and green sweater to no avail. 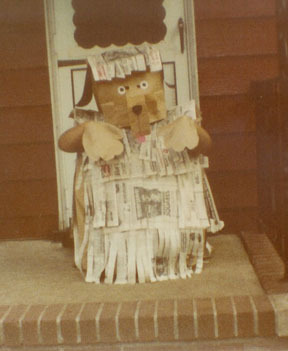 This costume wasn’t for Halloween, but for ‘Fantasy Day’ during spring ‘senior week’ in high school. Meaning, what do you want to be when you grow up? Look at the Richard Grieco hair! Wasn’t trying to portray anyone, just came up with this cool idea of the red and black symmetry. I was a club kid and didn’t even know it. Not to mention, Darth Maul would steal my thunder a decade later. Love this! I’m the bun, inside of which is my hubby Danny, the wiener. 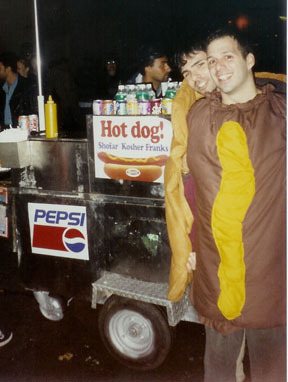 A perfect costume for a Halloween night in Manhattan’s Greenwich Village. This is a nice morbid shot of me from an amazing trip to Salem on Halloween weekend. If you love Halloween and horror and you’ve never been to Salem, you need to do it. But you have to book a room like a year in advance. 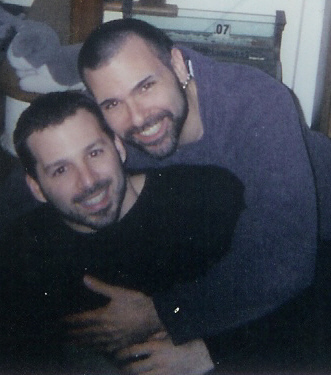 It’s so good we went back again in 2003 with friends…below. This was the trip of a lifetime. 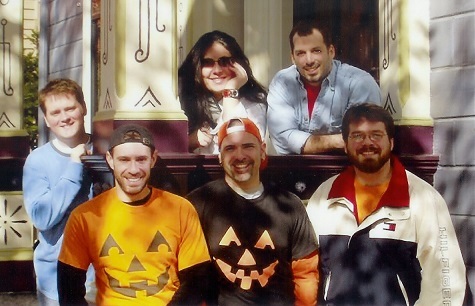 If you go to Salem on Halloween, it must be with a crowd of good friends. It’s a blast. Historical section, campy scary section, quaint New England small town section. 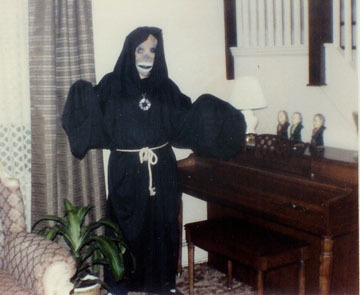 My Salem 2003 costume. Again with the face paint, but there was a theme this time. I was a Dan O’ Lantern! We stopped in at the shop from the Oddities show…and the star of the show happened to be there! At the store trying on Halloween hats!